11.00 - 12.30: How much Bureaucracy is Necessary? On day one we shall follow the questions how much bureaucracy government needs, and how government can be informated. Exploring the possibility to informate government, Alois Paulin (Slovenia / Austria) will discuss on how technology allows us to informate bureaucracy by controlling social service delivery. But: how much bureaucracy is necessary at all? The discussion will be continued by the Austrian e-Government pioneer, Roland Traunmüller, shifting focus of the deliberation to the role of bureaucratic agencies. Adeyinka Adewale (Nigeria / UK) will provide an overview of bureaucracy and discuss the ethics of bureaucratic organizations, emphasizing the importance of the history of bureaucracy, which plays a crucial role in the history of civilization. e-Government: How much Bureaucracy is Necessary? Does Bureaucracy stiffle Moral Agency? 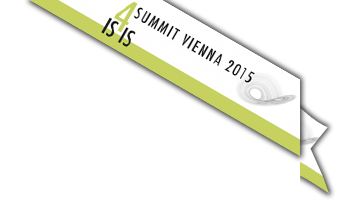 14.00 - 15.30: The status quo: does it work? What then, can government do at all to optimize the status quo? Smart Cities expert Leonidas Anthopoulos (Greece) explores the possibilities governments have to eliminate bureaucracy by means of technology. Shifting focus to the human nature, Uroš Pinterič - with insights to Slovenia and Slovakia - will discuss non-technological implications of attempts to transform government. 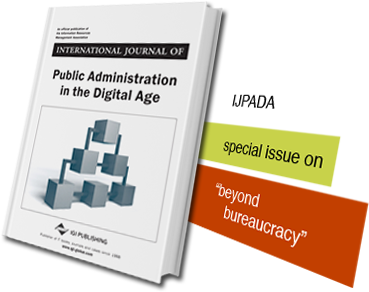 Looking back on the struggles of e-Government in Poland, Piotr Syzmaniec and Łukasz Mikowski will discuss on issues of socio-technological alignment in the domain of governance. How far can a local Government go to reach a Non-Bureaucratic Level? 11.00 - 12.30: Does Technology benefit Participation? Day two focuses on collaborative decision-making and on broadening technological horizons. Matouš Hrdina (Czech Republic) will start by discussing the implications of social media on political participation and the role of traditional juro-political tools in new communication environments. Alois Paulin will shift focus back to technology by discussing technical possibilities for liquid democratic decision making as a core enabler of non-bureaucratic governance. Stepping deliberately out of the box, Sahar Sahebdivan (Iran / UK) will explain how Quantum Information may revolutionize information processing for future generations. Are Social Media a beneficial Tool for Political Participation?